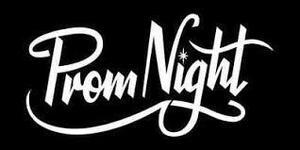 Class of 2020 presents Prom at the Great Wolf Lodge! Watch the Promo HERE! Congratulation, Bolsa Grande STEM Club! Much respect and accolades to the 2019 Stem Club, who just placed 1st overall and 2nd in Prosthetic Arm creation at MESA, a well-renowned engineering competition - way to go, Matadors!!! CONGRATS, NATIONAL MERIT SCHOLARSHIP QUALIFIERS! It is with great pride that we announce the Matadors who have qualified for the 2018 preliminary National Merit Scholarship - a program which recognizes top PSAT scores. 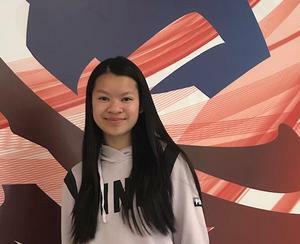 Lillian M. Dang, Annie Q. Nguyen, Dillon V. Taing, and Steven H. Tran are among the 50,000 high scorers nationwide, rising to the top from an original pool of 1.6 million program entrants. According to the National Merit Scholarship Corporation, “with a selection Index score of 212 or above, these high performers have shown outstanding academic potential.” Way to go, Matadors! Check out all the fun and learning that was to be had from the APES field trip to the Newport Beach Back Bay Science Center last Friday! Click the link to see all the fun pics. 41st Annual GGUSD First Impressions Art Exhibit and Awards Ceremony. Matadors shine at the 41st Annual GGUSD First Impressions Art Exhibit and Awards Ceremony - click the link to view all the fun! Congrats, February Athletes of the Month!! Would you like to find ways to help deal with stress and the demands of every day life? If so, join us in the library on any Late Start Wednesday to practice Mindfulness. 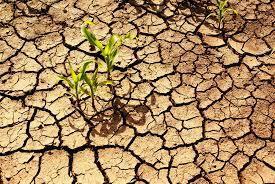 Find healthy coping strategies for life. Please make sure your student is rested, has a good breakfast and is at school on time for these very important testing dates. Please see attached schedule. Please see attached. We hope this helps to schedule your vacations. Jacob Cervantes - PBIS Model Matador! For Jacob, Matador Pride means having a positive mindset and determination in everything that you do even when circumstances make it difficult. His mom has influenced him by showing him self-discipline and encouraging him to advocate for himself. Because of his mom, Jacob believes he is a more courageous person with a strong mindset. He is proud to be recognized by faculty for being the responsible and respectable person he strives to be. He works hard to balance work and school, having held a job for two years and excelled as a student. Mr. Kenney describes Jacob as an amazing student who always helps others, works hard, and is able to adapt to any situation. Mrs. Cordrey too describes Jacob as a young man whose compassion towards his fellow students, staff, and teachers is evident every day. She says his commitment to his education and always setting high expectations for himself are characteristics that make him a shining example of a Model Matador. Trieu Nguyen - PBIS Model Matador! 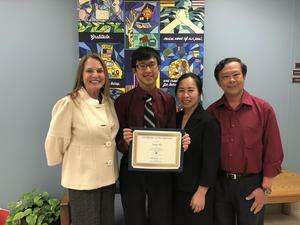 Trieu looks to his parents as the most influential people in his life for their steadfast support of all he does. He believes that Matador Pride is about letting your actions be guided by your morals and always trying to do the right thing. Mrs. Kemp sees Trieu as a very deserving selection as a Model Matador. She says, “the first thing one notices about Trieu is his welcoming and engaging smile. 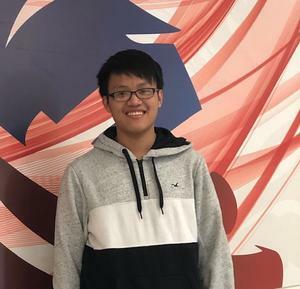 Not only is he an excellent student, but he is always respectful, sociable and an example of kindness to those around him.” Trieu is glad to represent PBIS as a Model Matador because he believes that it demonstrates that he is doing something positive for his school community and society. 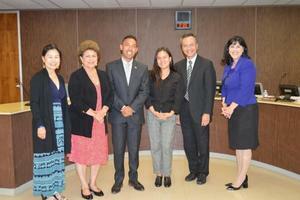 Jaime Nguyen - PBIS Model Matador! Victor Hoang - PBIS Model Matador! Throughout his first year at BGHS, Victor has worked hard as both a student and an athlete. A member of both the cross country and track teams, Victor describes Matador Pride as loving his school and “Staying honest, humble, and true.” His brother is the most influential person in Victor’s life because “he has always been there for me and even though he can be a goofball sometimes he keeps me on track.” Mrs. Steele describes Victor as someone who is always willing to help others without being asked. She commends him for his work ethic in class every day, as well as his willingness to collaborate and share his thoughts and ideas with others. He appreciates being acknowledged as a Model Matador because being one of the few Model Matadors gives him a sense of fulfillment and accomplishment. Ringing in the Lunar New Year! Check out all of the photos here!!! Congrats, Tim Martinez - GGUSD Supervisor of the Year! Last Saturday evening in a beautiful ceremony, Tim Martinez was named Supervisor of the Year for the entire GGUSD! This is truly a big honor and one that is well deserved by Tim! It is not easy being a Plant Supervisor for a Stadium School, let alone during years of modernization. Tim has worked diligently across our campus to ensure we can all do our jobs and have the facility to make that possible! Congratulations, Tim! Thank you for all that you do! Learning at the Laguna Beach Tide Pools! Many thanks to Mr. Johnson’s wonderful AP Environmental Science students, who recently spent a winter beach day learning and working to protect the tide pools at a local State Marine Conservation Area. Varsity Cheer has won Regionals!!! Please help congratulate Varsity Cheer on their first ever Regional win. Awesome job, Matadors! 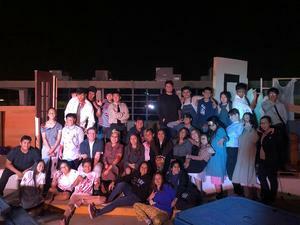 The Bolsa Grande High School Drama Department presented Night of the Living Dead. Congratulations to the amazing Drama Cast and Crew for a thrilling and terrifying production! The audience had up close and personal encounters with our student and teacher Matador Zombies! 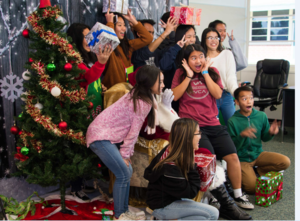 Spirited Matadors Become Santa's Little Helpers! Thanks a million to the Key Club for the support at our Brunch with Santa event Saturday! The entire group was incredibly helpful. We are grateful for your enthusiasm and support. 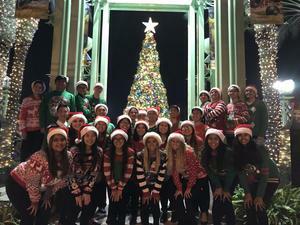 The Concert Choir brought holiday joy to over a thousand people with their performance on Saturday, December 1st, for the Garden Grove Christmas Tree Lighting Event. Great job, Matadors! 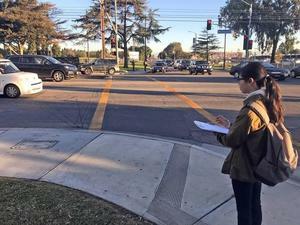 Friday Night Live students have been making a difference in the community by participating in the Traffic Safety Project funded by the California Office of Traffic Safety through the National Highway Traffic Safety Administration. Michael Carr - PBIS Model Matador! Michael is a member of the Band whom Mr. Miller describes as always being eager to be a part of the school’s band. He appreciates that Michael is always willing to help others and try new things. He's worked hard during marching band season to help our band get better, including learning a new instrument. Michael’s willingness to try new things translates to his plan to become a student athlete as well here at Bolsa. He cites his father as the person in his life that has influenced him the most. To Michael, Matador pride is simply rules in life to live by. He appreciates being selected as a Model Matador because it means that he was noticed for doing something positive without even knowing that he was doing something to make himself stand out as a role model. Tiffany Pham - PBIS Model Matador! 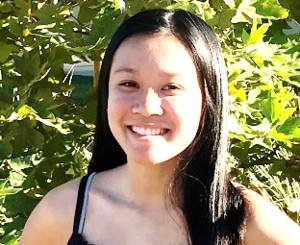 Tiffany Pham is a member of the school’s AVID program. She is recognized for her consistent positive attitude in everything she does. For Tiffany, Matador Pride is a pride in representing Bolsa Grande’s core beliefs and taking part in activities that are an integral part of the school community. Tiffany has been influenced by her mother whose hard work and ability to support her family set an outstanding example for her. Her encouragement to build a better lifer for herself motivates Tiffany every day. As a model matador, Tiffany states she will always try to be a role model for the Bolsa community. Samantha Cervantes - PBIS Model Matador! Samantha Cervantes is a member of the school’s choir and softball team. Coach Terflinger describes her as a hard-working young lady with a great attitude. She points to Samantha’s support of her teammates as one of the many ways she makes a difference. As a 10th generation Matador, Samantha feels Matador Pride resides in the diversity of organizations in which students can be involved. She experiences this pride as she performs on the stage and competes on the softball field. Samantha is grateful for the influence her mom has provided as a strong woman, who is respectful of everyone, has a voice in life and who is certain that her words have meaning. She is proud to be selected as a Model Matador, knowing that it means she is being recognized for what she does here at Bolsa and is respected for how she conducts herself and the work she puts in as a student and athlete. Mychaella Sieve - PBIS Model Matador! While Mychaella is both class President and Assemly Commissioner for ASB, Mychaella is also recognized by her classroom teachers for the way she exemplifies Matador Pride. As her student, Mrs. Shaver describes Mychaella as always willing to participate with a smile on her face and more than willing to help those around her. She is responsible, hardworking, kind and truly a team player. 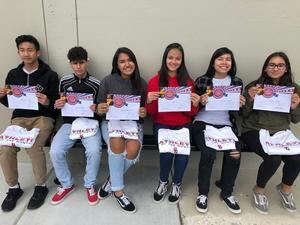 For Mychaella, Matador Pride means finding gratification in all that happens here at Bolsa and taking pride in seeing everyone participate and enjoy what they are doing. I want others to reach their goals as well as pursue their dreams. Mychaella’s mom is the most influential person in her life. By watch her mom and aspiring to be like her, Mychaella strives to have her mom’s kind heart and positive spirit. Her involvement in school has also been inspired by having a mom who took advantage of every opportunity to get involved and be active in the lives of others. Being selected as a Model Matador is important to Mychaella because it tells her that she is viewed by teachers and students alike as someone whose actions have made a positive impact on the lives of fellow students and the school community. 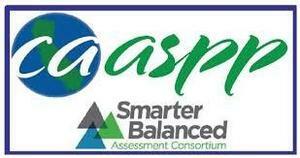 Have questions about filling out your college and financial aid applications? Counselors will be available to help you through the process after school in the Library Media Center. 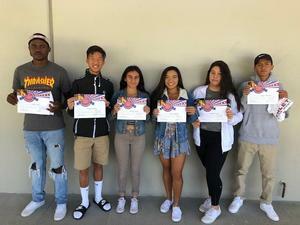 SEPTEMBER ATHLETES OF THE MONTH! CONGRATULATIONS TO THE FOLLOWING MATADORS! BOYS WATERPOLO – Vincent Pham for his great sportsmanship and hard work. GIRLS VOLLEYBALL – Amanda Cueva who is our setter and leader on the court. She has KILLER serves, sneaky donut sets and hits like no other! FOOTBALL – Jaylen Todd who is top two receiver in all of OC. He averages 10 catches and 125 yards per game. GIRLS TENNIS – Kayla Nguyen who has the best overall performance in pre-season. BOYS CROSS COUNTRY – Edgar Martinez for his hard work and steady improvement. GIRLS CROSS COUNTRY – Melissa Gomez who ran under 20 minutes for the first time! 68%—according to a study done by The Recovery Village, 68% of seniors in high school have tried alcohol. 35.1% have tried marijuana, and even 2.5% have been caught doing cocaine. These numbers are astounding and show how common drug usage in today’s society is. With a generation that thinks drugs are “cool,” it is becoming ever so clear that teenagers are becoming more susceptible to drug addiction every day. Nearly a quarter of high school students try illicit drugs, causing them to develop abnormalities, become depressed, and become academically unsuccessful. In fact, Just Think Twice states that high schoolers who use drugs even “have lower grades, a higher rate of absence from school and other activities, and an increased potential for dropping out of school.” This mainly occurs due to the brain interference that drug use causes, leading to a lack in focus and a drop in academic performance. Specifically in teenagers, drugs can ruin the brain while it is in its development stage. All in all, drugs can be detrimental to the success of a teenager, and they should not be taken lightly. Even doing drugs once can cause permanent damage to the brain and often leads to addiction, demonstrating that a high schooler’s “first time” may not be so harmless after all. Click on the link for more information. Would you like to learn more about a certain college? 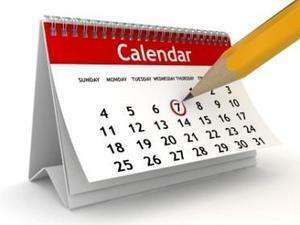 If so, review our College Representative Calendar and make a request to attend a presentation. In today’s society it has become widely known that teenagers like to partake in social activities. It would also be plausible to say that many teens go to parties, and often they are dragged into the consumption of alcohol. Some may drink alcohol for the fleeting sensations, and others may drink it due to peer pressure. Whatever the reason may be, we as a community cannot disregard the hazards of drinking – especially underage drinking. BGHS ASB Takes 1st Place at OCL! This past summer, Bolsa Grande High School’s ASB once again attended the annual Orange County Leadership (OCL) Camp held at UC Santa Barbara on August 7th-10th. With their skit inspired by Willy Wonka and the Chocolate Factory, Bolsa put their own modern twist by incorporating a public service announcement style PSA about how cell phones and technology negatively affect our daily lives. After weeks of hard work and dedication, Bolsa pulled together to execute an astounding skit. Out of the 48 schools in attendance, Bolsa performed in front of over 2,000 students and placed first overall at the Talent Show on August 9th. 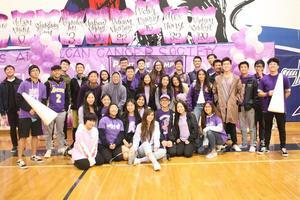 Congratulations Bolsa Grande ASB! BGHS STEM takes 2nd in the Nation!! Congratulations yet again to the amazing BGHS Stem team who have won an astounding second place overall in the nation at the MESA National Engineering Design Challenge! 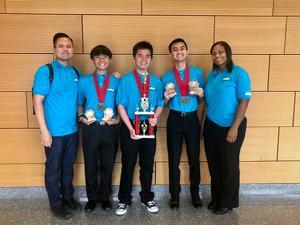 Led by Mr. Ryan Tonthat, club advisor, Bolsa Grande High School upcoming senior David Chuong and “just graduated” alumni Duy Pham and Danny Vo took home the award after spending the better part of the 2017-2018 school year designing, developing and building an electronic device created to solve authentic real-world problems. After winning preliminary competitions earlier in the year at UCI, the team went on to take 2nd overall this summer in Philadelphia. Way to go, STEM! Earlier this summer, the Board of Education welcomed our new Student Board Representative for the 2018-19 school year: Silayan Camson from Bolsa Grande High School! Silayan has demonstrated outstanding leadership skills and is very active on the campus at Bolsa. She has been a team member on varsity swim for the past three years, volunteered with the American Cancer Society and UNICEF Clubs, and served on Bolsa’s Yearbook Club and in leadership roles as a Sister City Student Ambassador, American Cancer Society Publicity Chair, ASB cabinet member and Youth Leadership of America associate. Silayan will also be the upcoming Editor-in-Chief for Bolsa’s school newspaper and hopes to help grow the school’s journalism program. Welcome Silayan! 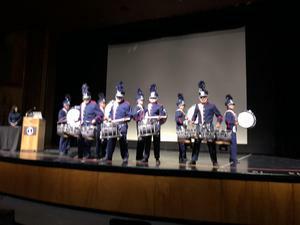 On Friday, August 17th, Bolsa Grande's very own high-energy, crowd-pleasing Drumline set the tone for returning GGUSD staff at the Superintendent's annual Keynote. 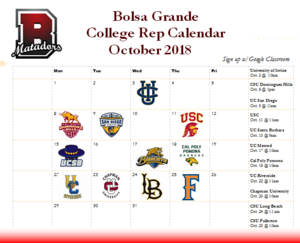 With much more to come from Drumlime in the upcoming 2018-2019 school year, we are proud and excited for our talented Matadors! 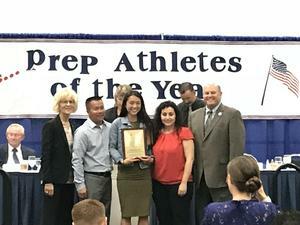 On May 29th, Janel Nguyen, graduating senior, was honored for her athletic talents at the 2018 Orange County Athletes of the Year Dinner. Presented by the OC Athletic Directors Association and held at the Anaheim Convention Center, male and female Student-Athletes of the Year from leagues spanning Orange County gathered to accept their awards. Nguyen was in elite athletic company as she proudly represented Bolsa Grande High School and the Garden Grove League. Congratulations, Janel, on a job well done! Last weekend, BGHS faculty held their annual BGHS/Scott Ross Faculty Golf Tournament for a little friendly competition and some fun and relaxation under the sun. Held at David L. Baker Golf Course in Fountain Valley, golfers played for pride and prizes. Proceeds were donated to the Ronald McDonald House, an independent nonprofit organization whose mission is to "create, find, and support programs that directly improve the health and well-being of children" in the name of former student Scott Ross. Congratulations, Long Ho! Class of 2018 Valedictorian! BGHS Sophomore Accepted into the Philharmonic Society’s OC Youth Symphony! Congratulations, Andrew Vu Nguyen! BGHS sophomore Andrew is the only representative from GGUSD to be accepted into the Philharmonic Society’s Orange County Youth Symphony. He is currently serving as the symphony’s Bb soprano clarinet, A soprano clarinet, Bb bass clarinet, and Eb baritone saxophone player. Drum Line Places at the American Drum Line Association Championships! 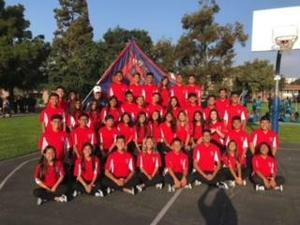 Congratulations to Bolsa Grande Drum Line who competed in the American Drum Line Association Championships at Azusa Pacific University. We placed eighth out of forty-two schools in Southern California. The win marks a continuation of Drum line's storied excellence and history here at Bolsa. Over the past four years, Drum Line has qualified for multiple championships placing in the top 12% of Southern California. Congratulations again, Matadors! Recently, some of our very own Matadors helped bring Native American culture and tradition alive at the "21st Annual Rancho Days Fiesta" in Heritage Hill Historical Park. 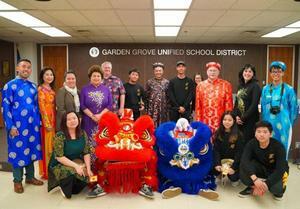 The powerful performance of authentic dance and dress was broadcast on the local KTLA Morning News and included, among others, Bolsa Grande students Ba’ac Garcia, Nanabah Kadenehii, and mother Lupe Lopez.